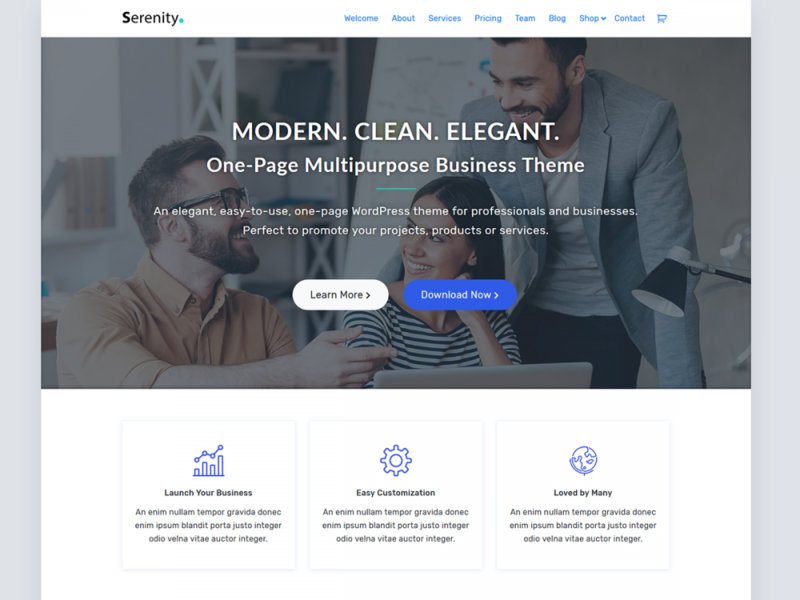 Serenity is a clean, modern and elegant one-page multipurpose theme built for professionals and small businesses. Its strength lies in displaying all your content on a single page, is easily customizable and allows you to build a stunning website in minutes. Serenity doesn’t depend on frameworks or page builders to display content but relies on powerful native WordPress widgets, pages and Live Customizer. It’s responsive, search engine friendly and light-weight. Serenity can be used for small business, startup, professional, agency, firm as well as personal portfolio websites or blogs. Features include a fully responsive layout, Font Awesome icons, Google fonts, working contact form and more.